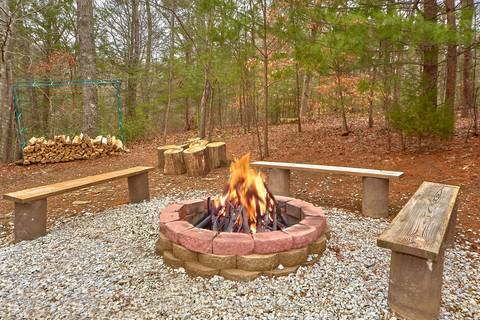 Bring the family bring your friends! 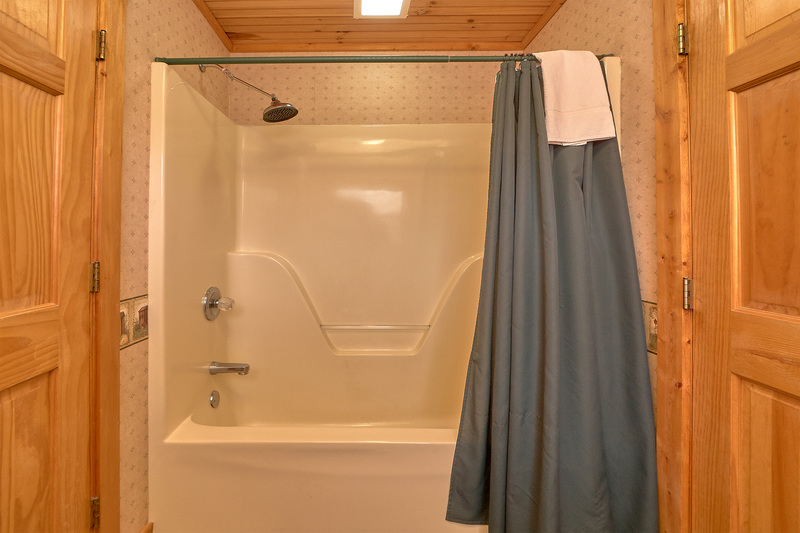 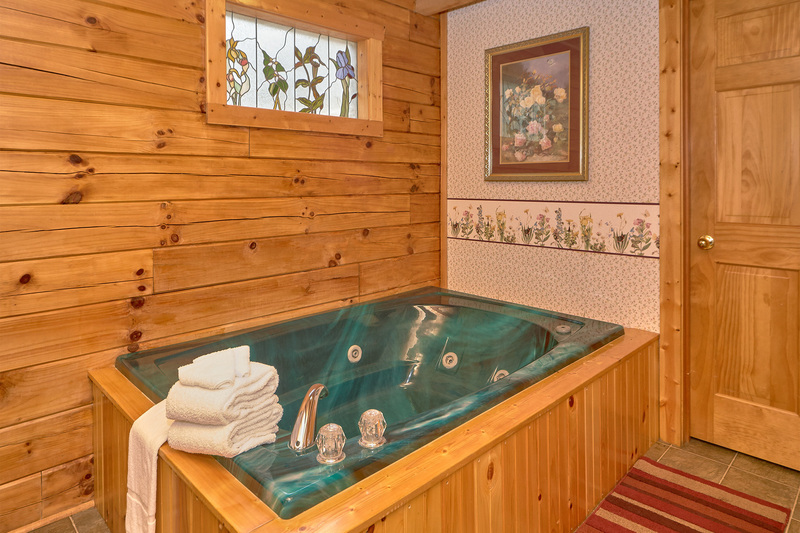 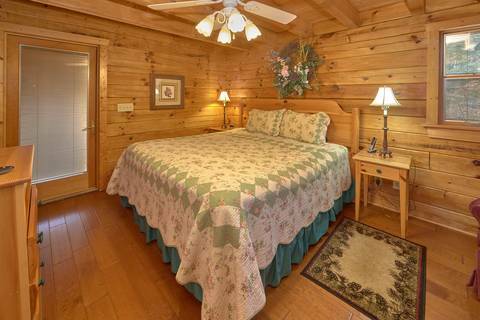 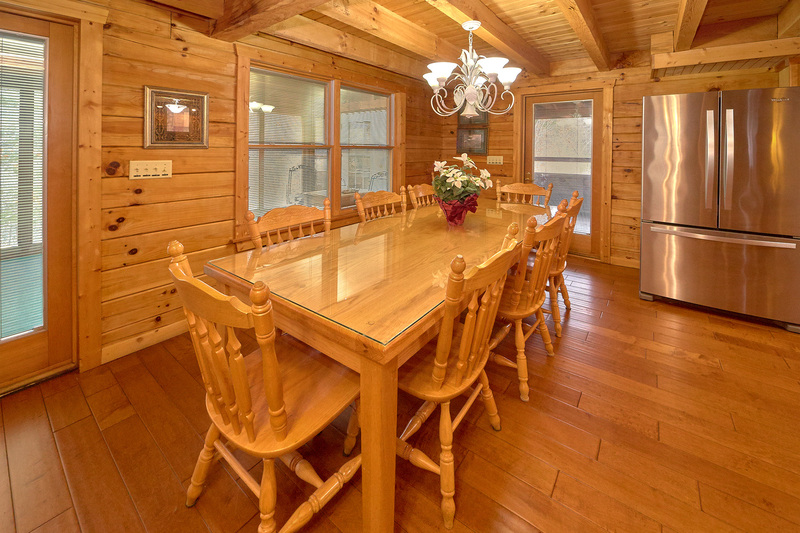 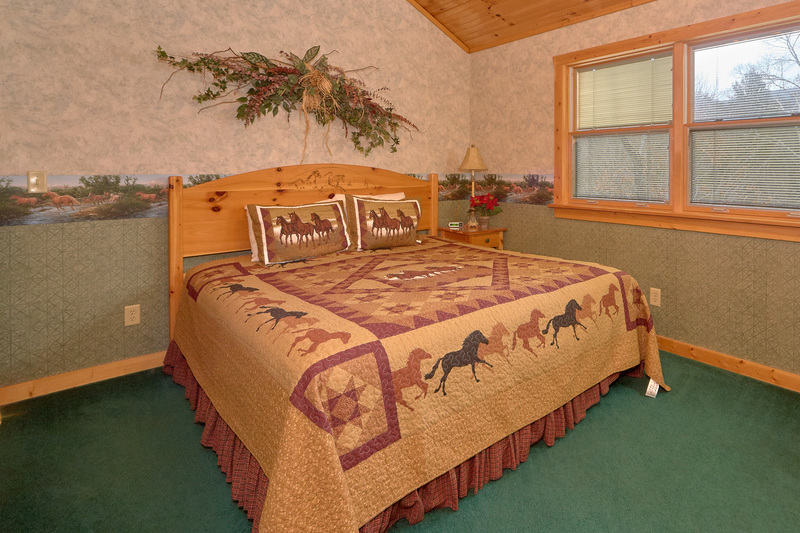 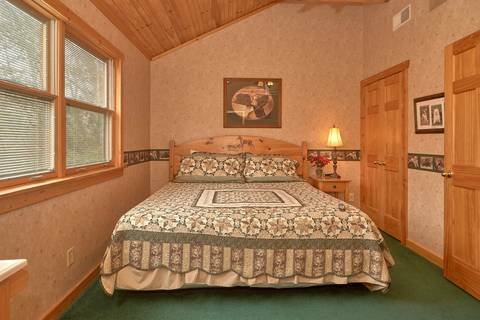 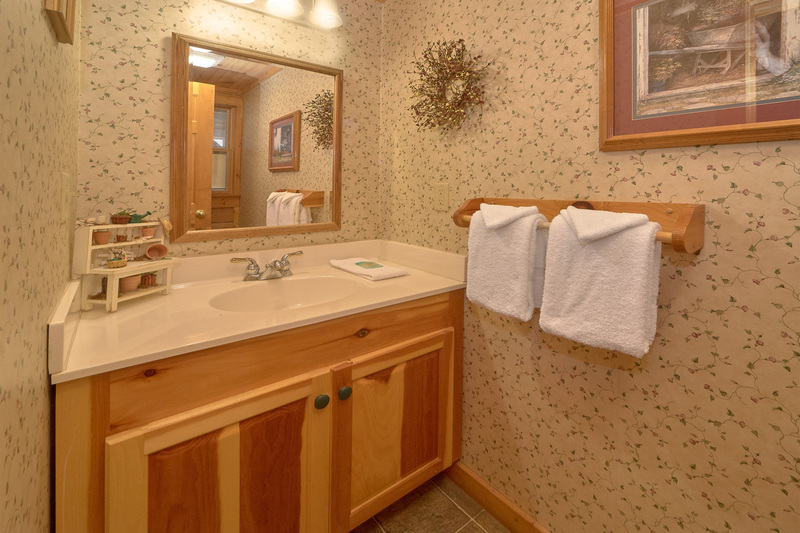 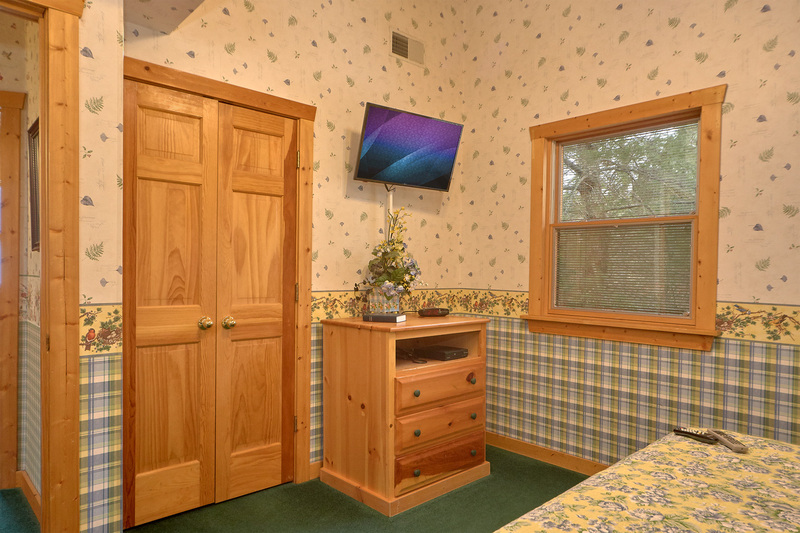 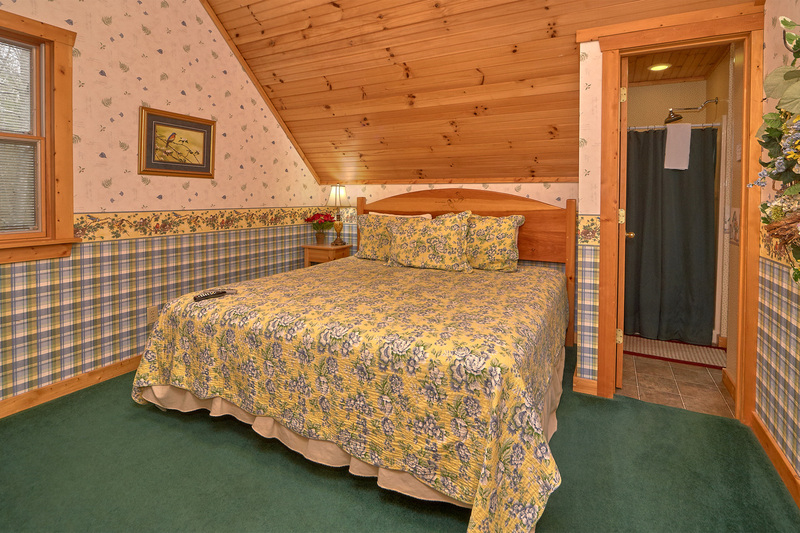 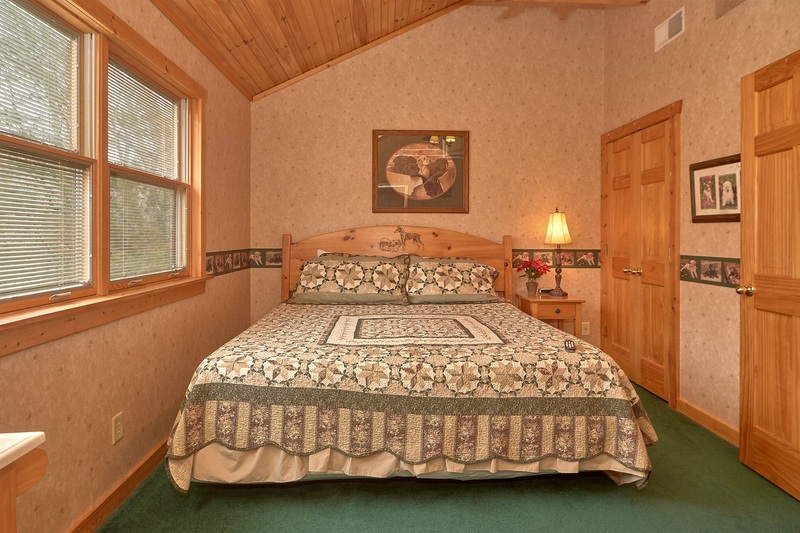 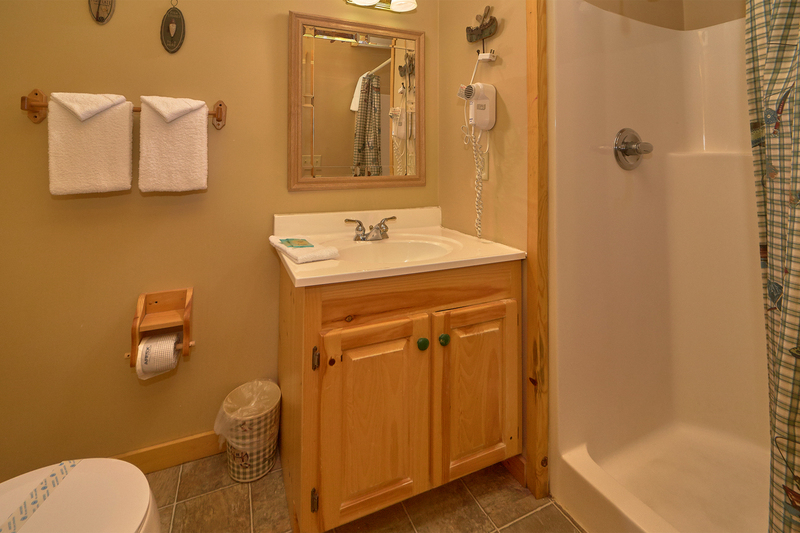 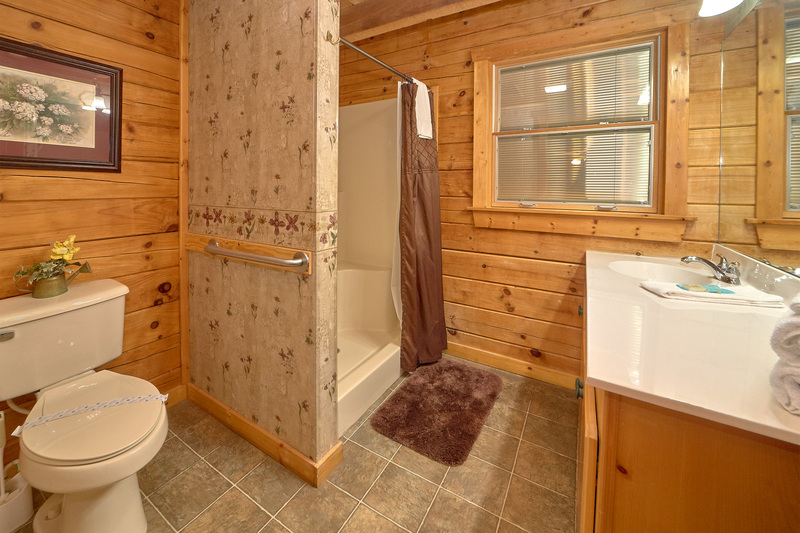 There is plenty of room for everyone at our big beautiful 4-bedroom "Wrap Around the Son" cabin that sleeps 14 guests! 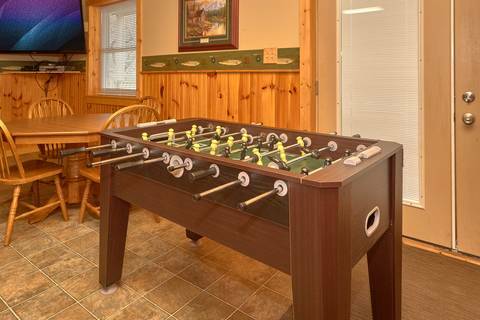 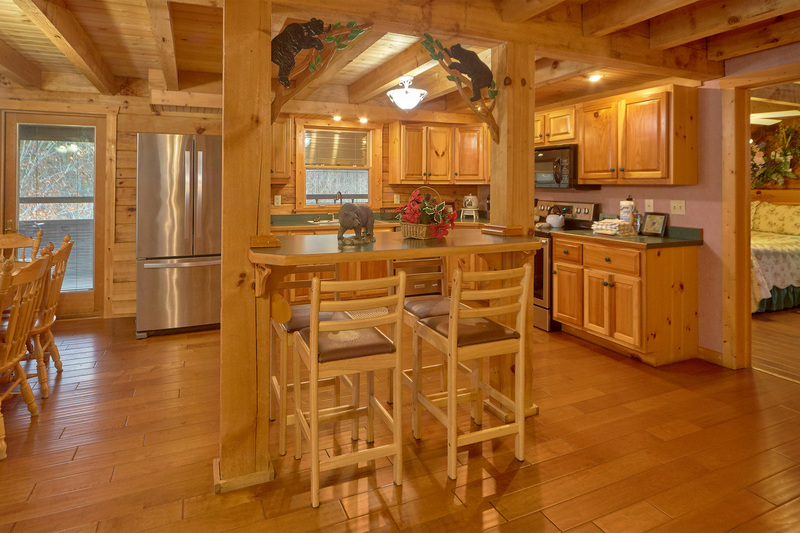 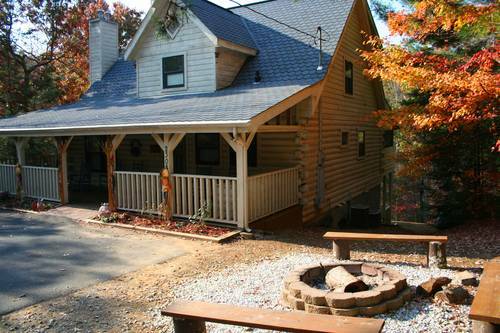 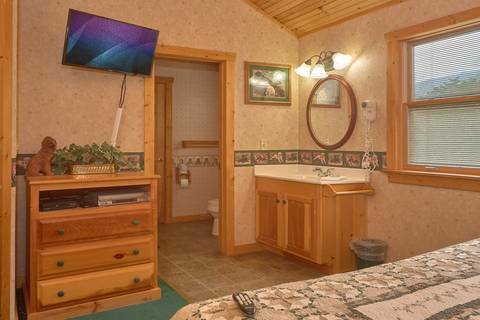 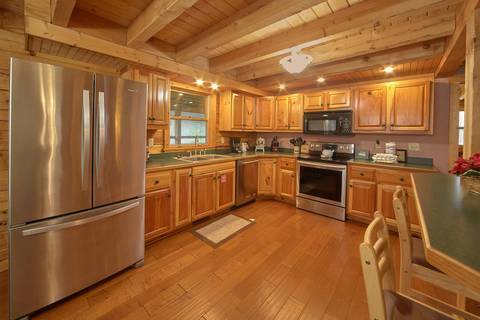 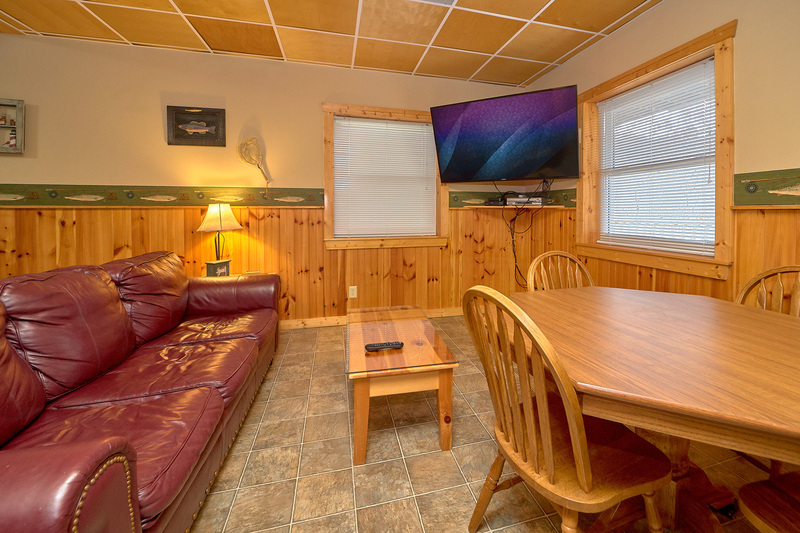 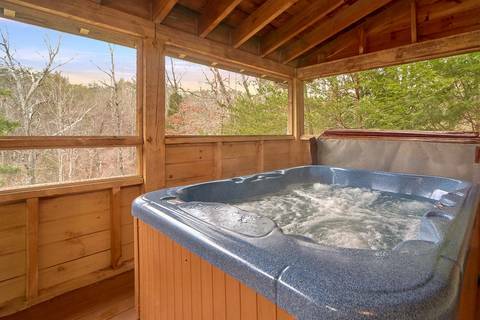 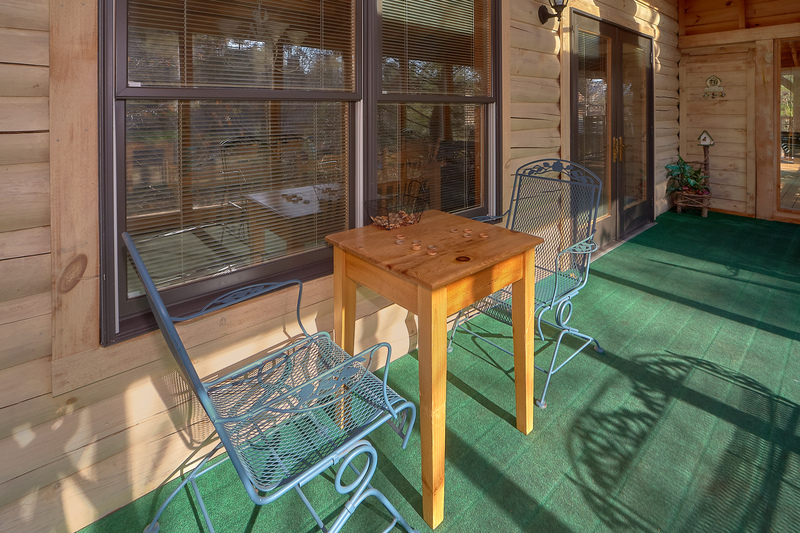 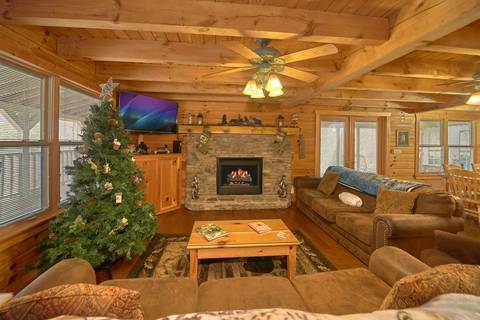 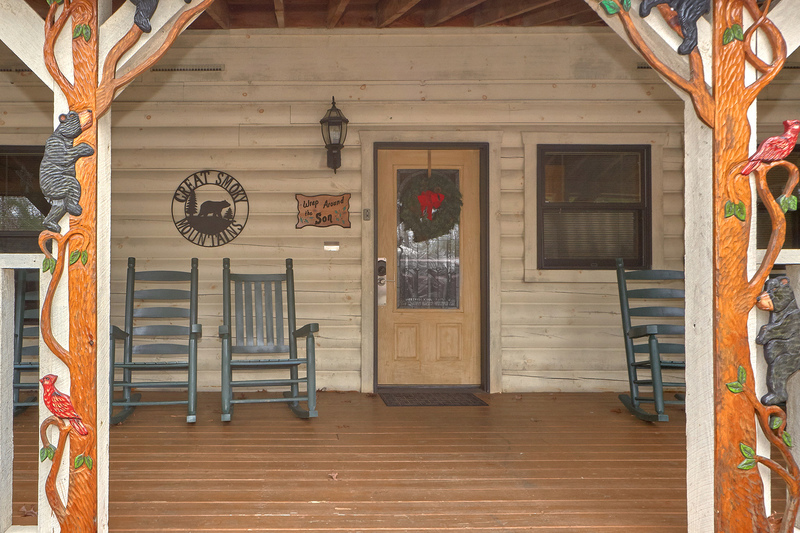 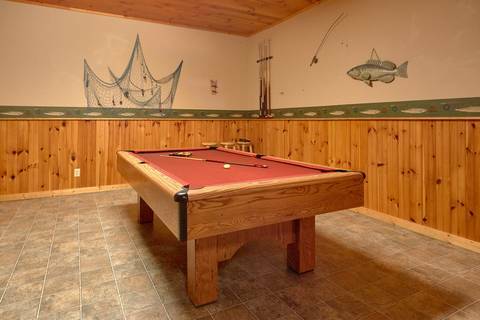 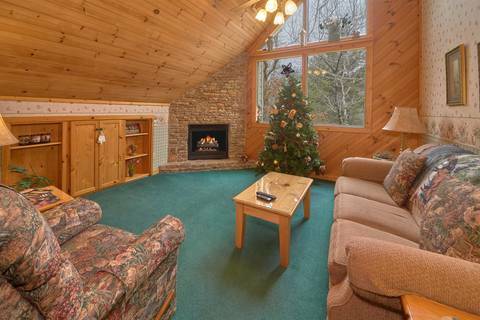 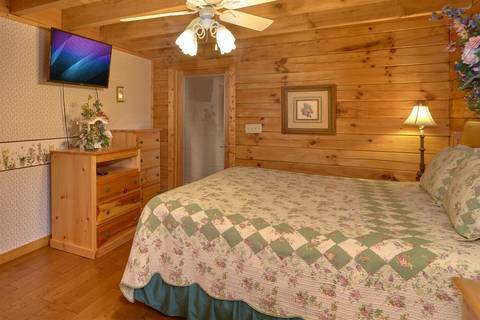 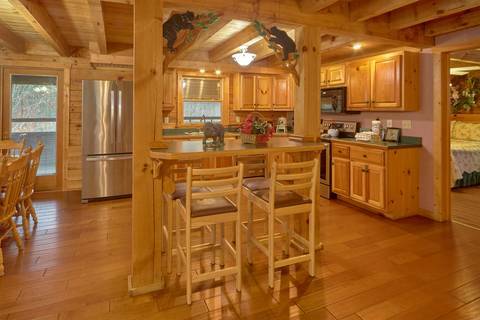 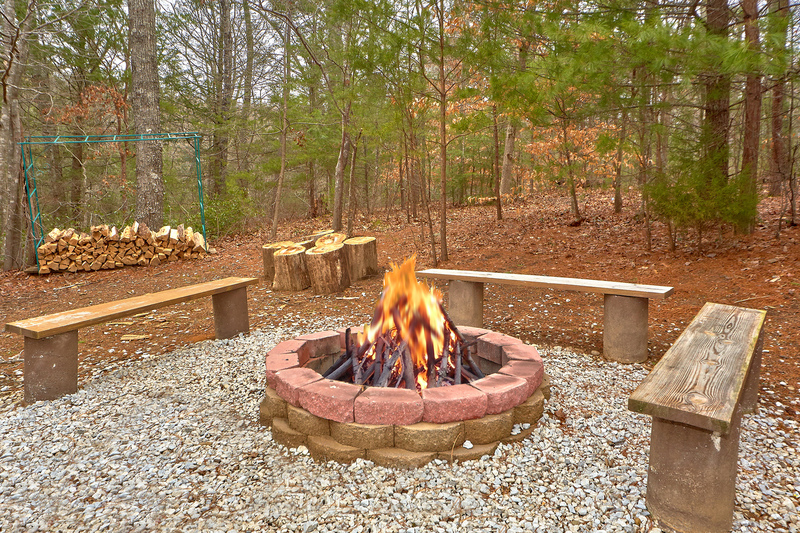 This spacious cabin offers all the amenities everyone will enjoy~ Handicap accessible, pool table, hot tub, Jacuzzi tub, ping pong table, Wi-Fi, DVD/VCR, Big Screen TV , 2 Fireplaces and a Gas Grill PLUS a bonfire pit for family outdoor FUN! 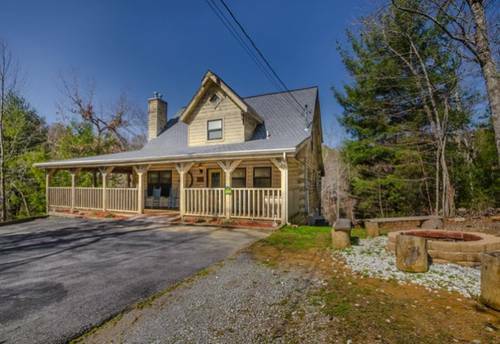 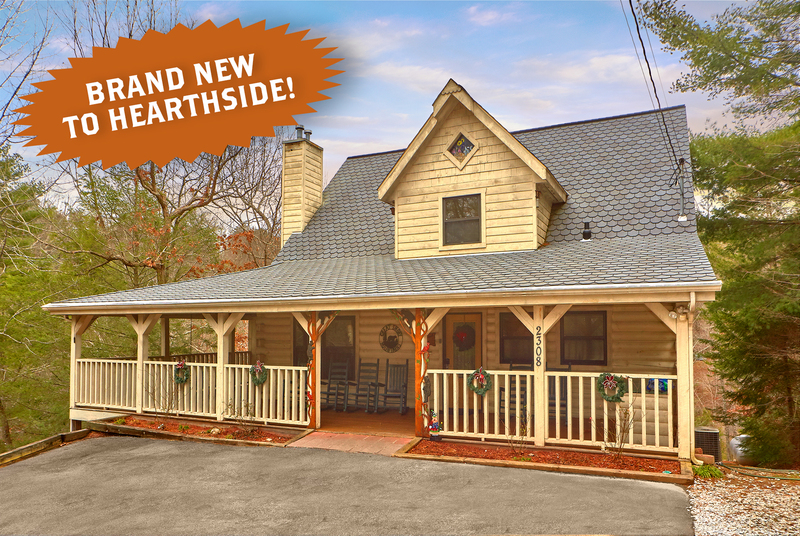 Located just minutes to Dollywood and all the attractions yet nestled in a private wooded setting. Also the Smoky Mountain National Park is just down the road and here you can picnic, fish, swim, tube down the river and hike many beautiful trails. 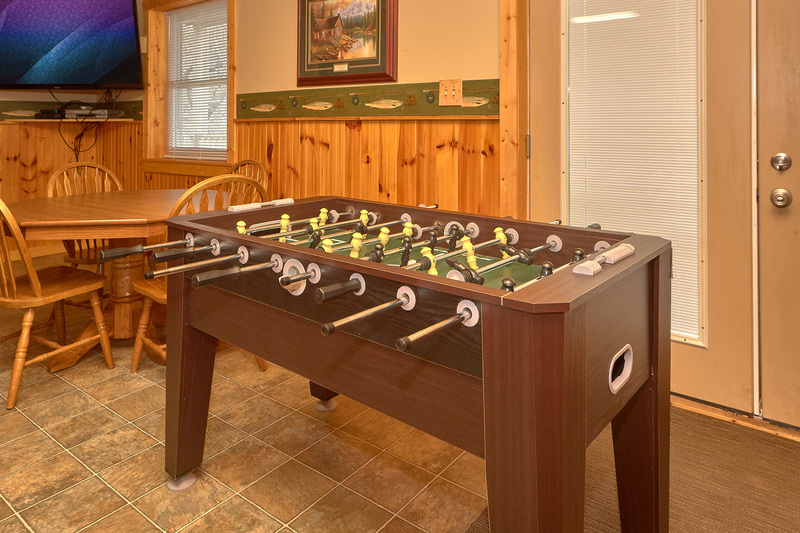 We offer swimming pool access for all of our cabins with two pools to choose from for extra added enjoyment. Bring on the big family meal with a huge kitchen, large dining room table and kitchen bar for additional dining space. 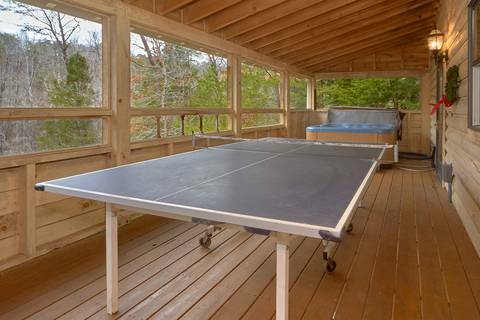 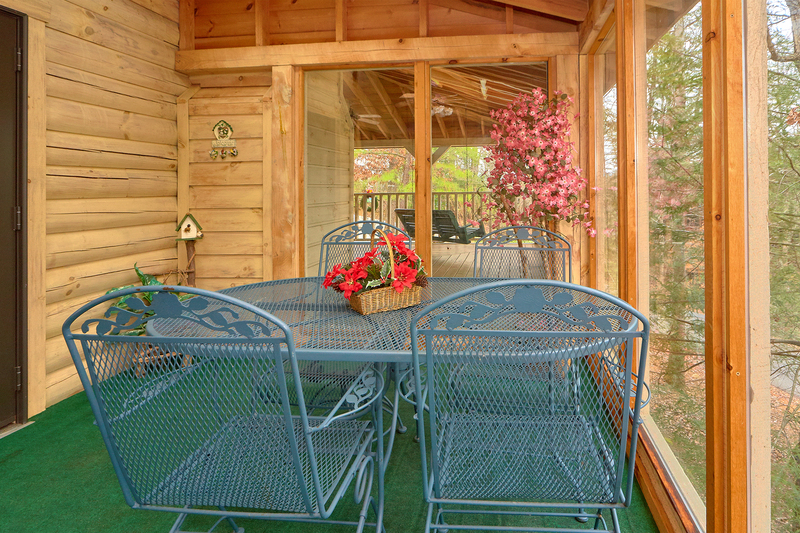 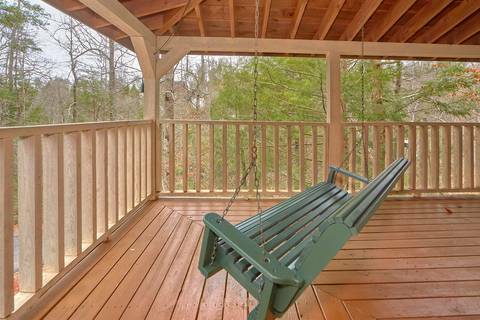 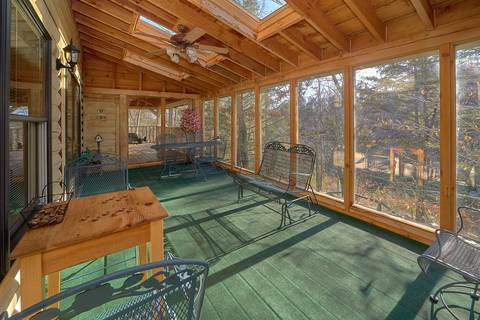 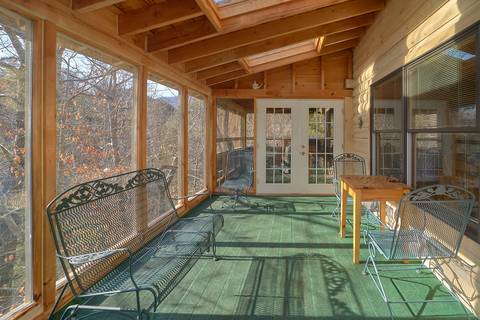 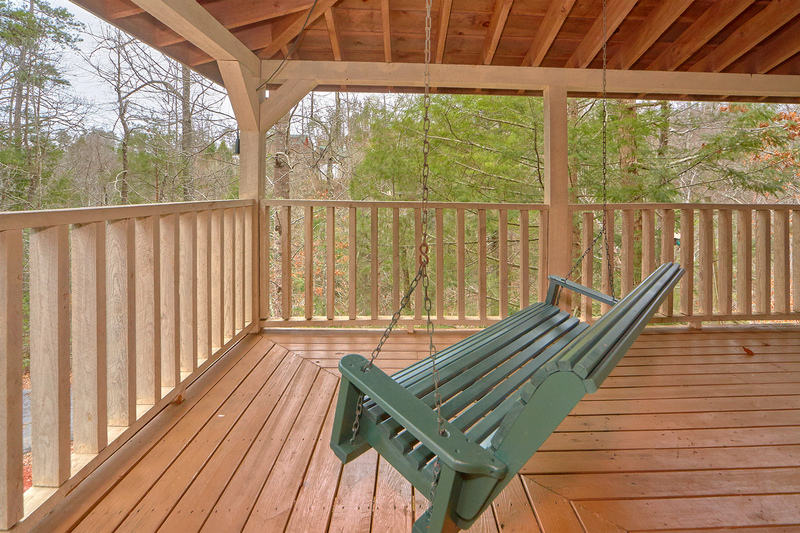 The screened in deck also offers 'al fresco' dining in a peaceful natural setting. The Hot tub is private on the covered screened deck for all weather indulgence! Featuring 4-luxurious King beds and 3 Queen sleeper sofas this amazing cabin has it all! 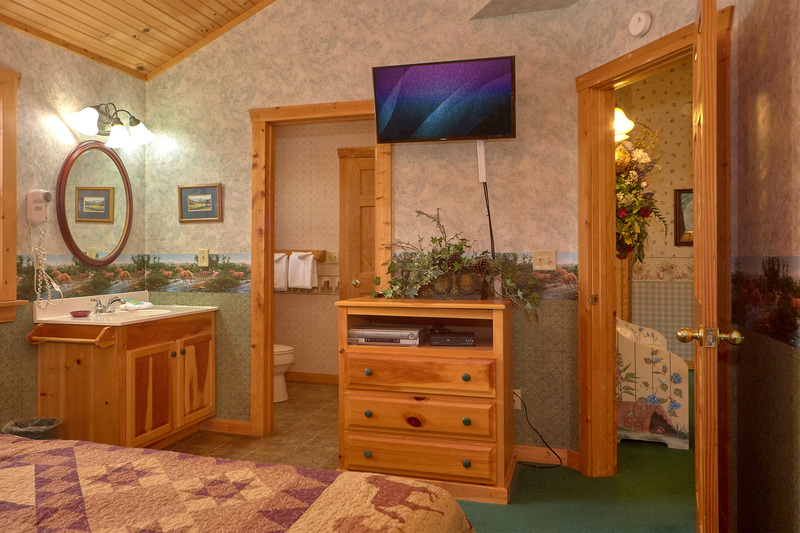 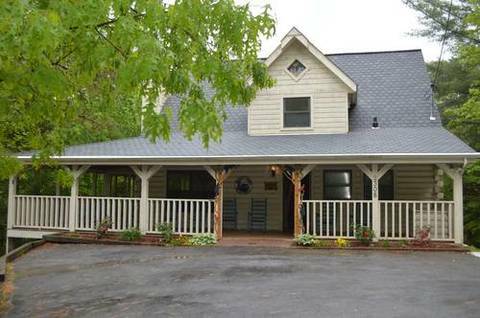 Located in the heart of all the Smoky Mountain attractions: Gatlinburg, Dollywood, fishing, golfing, shopping, dining and more... yet private, spacious and beautiful!